As strong and tuff as the state its self. These beds are made out of 1,000 Denier Cordura fabric, this is similar to what you would see used on backpacks. They have a double layer of this material on the bottom of the bed. 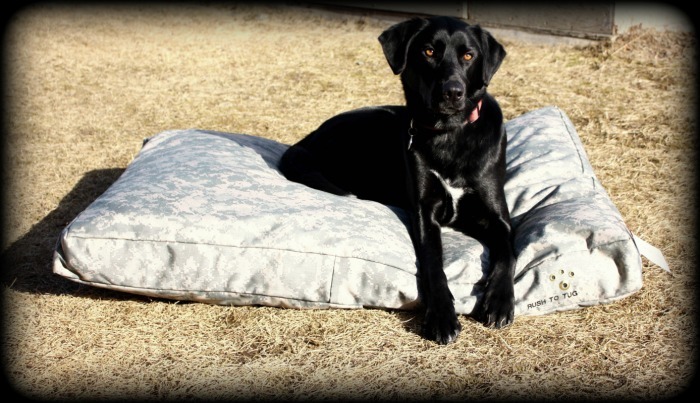 These beds resist tearing, chewing and abrasion better then other materials. 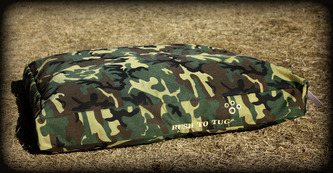 Water and puncture resistant, double stitched seams, using rot and mildew resistant thread. Machine washable, dry on low heat. These beds are perfect for any type of outdoor use, they are made to hold up and last for years. These beds are designed to be stuffed with 2-3 king sized pillows as they will not mash down like the polyester stuffing does. A velcro closure is used instead of a zipper to keep the pillows inside so the dog cannot pull the zipper open. 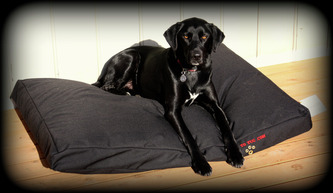 However our beds are not shipped with the pillows as to save you shipping costs. We do take special requests, if you want a bed made to certan dimensions feel free to e-mail us and we will make it for you. 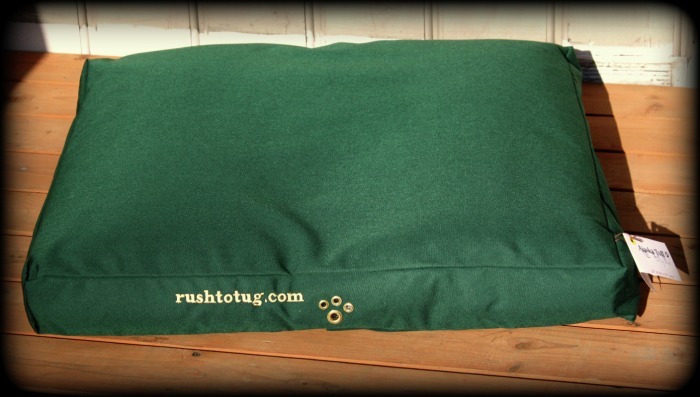 Please Note: To place an order send an e-mail to rushtotug@gmail.com including your mailing address plus the color and size of bed you would like.